Please type your desired tags, e.g. Organic, Fibrosis, Latin America, Art & Science, Electrical Engineering, Technical Communication, Hybrid Course Design, Operations Management, Asian Studies, Social Studies Education, Women’s History, Chinese Language, Heroic Archetypes, US History, Aesthetics, and etc. Dr. Basak's research focuses on how and where in the brain we remember information over a short period of time; the interplay between attention and memory; and the effects of cognitive training, including video games and memory exercises, on the brain and cognition in both young and old adults. She is also investigating the effects of cardiorespiratory fitness on cognition. Her honors include an Early Career Research Award at the 2007 Cognitive Ageing Conference in Australia, an Outstanding Dissertation Award and Outstanding Teaching Assistant Award from Syracuse University, and a Syracuse University Graduate Fellowship. Dr. Basak earned a BS in mathematics and MS in psychology from University of Calcutta, India, as well as an MS degree in applied statistics, and an MS and PhD in experimental psychology from Syracuse University. Prior to moving to the Center for Vital Longevity in 2011, she was an assistant professor of psychology at Rice University. She also was a Beckman Institute Fellow and Research Scientist at the University of Illinois at Urbana-Champaign. 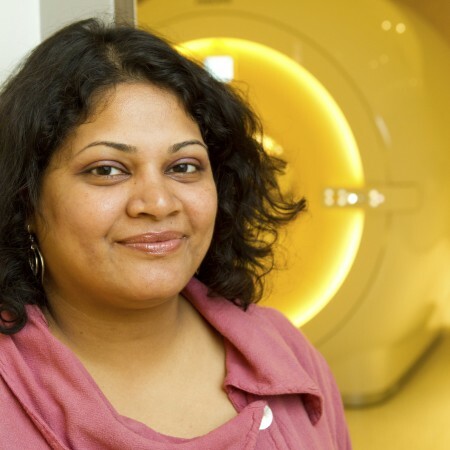 The Darrell K Royal Research Fund for Alzheimer’s Disease recently awarded Dr. Chandramallika Basak of UT Dallas’ Center for Vital Longevity $165,000 in grants over the next three years for her research into mild cognitive impairment in older adults. Basak, an assistant professor in the School of Behavioral and Brain Sciences, is one of six researchers in Texas who received the grant. An outside panel of peers led by Dr. Ronald C. Petersen, director of the Mayo Clinic’s Alzheimer’s Disease Research Center in Rochester, Minnesota, made the selections. DALLAS – Feb. 6, 2018 – Dr. Chandramallika Basak and her Lifespan Neuroscience & Cognition Lab (LiNC) at the Center for Vital Longevity have been chosen as a test site for evaluating a genre of cognitive training that may enhance brain plasticity and delay the onset or progression of Alzheimer’s Disease. In collaboration with the University of Iowa, Dr. Basak’s lab will be using a Posit Science Corporation cognitive training module to see what types of computer-based exercises might lead to significant and sustained cognitive benefit in healthy older adults, which may yield protective effects against Alzheimer’s Disease and other memory impairments.